Yoav Gueron, the owner of 911 Restoration Portland says he “loves the science that goes into procedures.” Yoav gets excited when he is presented with a challenge, and there is nothing in the water damage restoration industry that doesn’t present a challenge of one sort or another. “Since it is a very technical field, it requires a firm grasp of knowledge on how to dry out a structure as fast as possible and salvage as much as possible,” Yoav says of the work that he performs. Many people assume that their house is going to be half torn down when they experience a water damage loss. This simply isn’t the case. “We try and save anything and everything we can.” Yoav boasts. Yoav and his teams of professionals accomplish this through GPS guided trucks that help technicians arrive within 45 minutes of any emergency call. And there is no job that is too big or small for Yoav to take on either. “We are one of the only companies in the Northwest with heat equipment,” says Yoav. 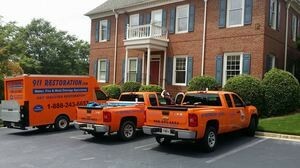 This allows Yoav and his staff to salvage more of a home then other restoration companies can because the moisture laden air is circulating at the same time as it is being dehumidified and heated. 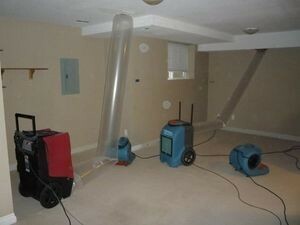 This is the best way to prevent mold growth from occurring. Yoav and the experts he works with every day have decades of field experience solving all different kinds of water related catastrophes. His crew is made up of a special variety of highly trained and IICRC certified professionals who pride themselves on their ability to respond to any emergency at any time of the day or night. That being said, Yoav and his team care about customer satisfaction and loyalty so much, that they even want to help you prevent an emergency from ever happening. “Check your attic for humidity. If you feel any moisture at all, it could be a sign that there isn’t enough ventilation near the roof line, and this may lead to mold if not properly taken care of.” Yoav says. Winter is another obstacle that homeowners can be troublesome. Homeowners can prevent damage from the effects of winter by simply turning off the water main to the building when they go out of town for extended periods. “This virtually eliminates the chances for a pipe burst,” Yoav relates. Another easy trick to keep homes safe is to direct the flow of outpour from downspouts and gutters so that it flows away from the home. This keeps water from pooling up near the foundation and seeping into the structure of the home. 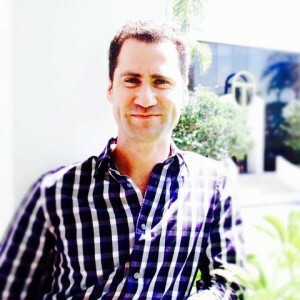 On many occasions Yoav and his specialized staff have encountered crazy situations that have required added attention. One such instance in which Yoav was called to happened to be in a bike shop. The evening before Yoav got the call, the bike shop had been broken into by some local thieves. In the process of trying to get into the building, they broke the water line which sent 6,000 gallons of it surging into the shop causing a huge disaster. Yoav immediately noticed the magnitude of the situation, and brought in the TES heating trailer to do a full scale dry-out. After his teams started with water extractions, the bike shop staff pitched in as well by doing a water bucket brigade out to the street. With quick work from Yoav and the team at 911 Restoration Portland, they even managed to save the register area which can be quite expensive to replace. If you have 6,000 gallons of water pouring into your property, or if you need advice from the best in the business, then contact Yoav and the water damage restoration Portland crew with 911 Restoration Portland today!